Make your own smokey eye look sizzling hot, even better than a professional makeup artist, here’s how! From Kareena Kapoor to Sonakshi Sinha, Aishwarya Rai Bachhan to Deepika Padukone and more, it seems they have all been smoked up quite pretty. Yes we are talking about smokey eyes; eyes that speak volumes. Sultry smokey eyes; so versatile and glamorous, which can go with any look and any time of the day or the night! 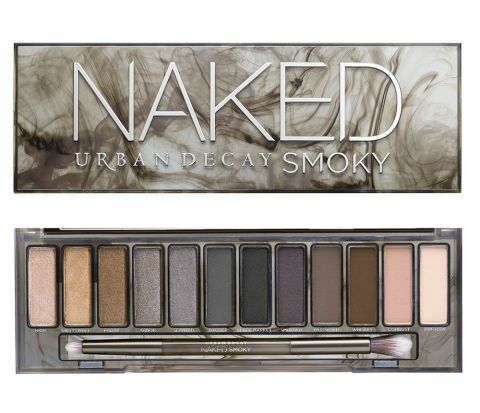 mostly, the shades chosen for smokey eyes that we would want to portray are grays, black and greens. You may try browns on darker tones too. The aim is to have the best smokey look around, so no glitter or shimmer should be there. Let’s get started to show you how to get the look done. There’s nothing to worry about and you don’t have to spend a bomb anymore on professional services getting this look done. Check out this easy step by step tutorial, and also a couple of celebrity pictures that show you the various smokey eyes look! 1. Get the face cleansed, toned and moisturized. 2. Use a very light shade of matte brown to do an eyewash on each of the eyelids. 3. Now dip your angular brush into dark black and from the mid section of the eyes, contour a soft V towards the outer section of the eyes, from the crease line. 4. Use a smudge brush to smudge the look into the section contoured, without having to go over the crease line. 5. Next step, would be to start from the inner corner of the eyes to the mid section with a shade of gray. 6. Once the gray pigment is applied, smudge the same into the eye section until it meets the black zone. 7. For the area under the brow bone, highlight with a white matte powder. 8. Use a dark kohl liner to create winged eyes or cat eyes. 9. Run the angular brush on the tip of the kajal pencil and from the crease line to the outer section of the eyes, draw an angular line. 10. 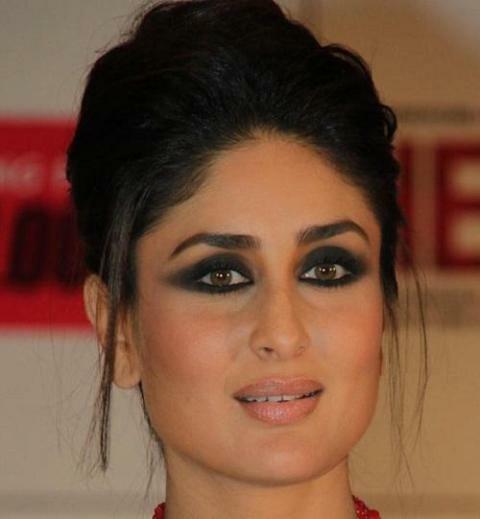 Use a smudge brush to blend the pigment of the kajal inwards. 11. For the upper and the lower tear lines, use an angular brush dipped in black shadow to smudge onto the lines. 12. Apply three thick coats of mascara, and then place the false eyelashes on the eyes. If you want to make the smokey look more intense, you may use darker shades if gray to enhance the look. However, always remember to place the lighter shades from the inner corner of the eyes to the mid section of the eyes, and the mid section to the outer corner should have the darker shades bestowed on the lids. We hope you enjoyed this post on how to get the smokey eyed look done in simple steps? Do write in with your thoughts and suggestions, and let us know if you have other creative ways to wear your eyes smokey too! Stay gorgeous and all smokey this season!